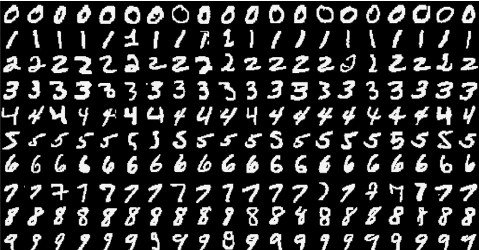 This guide will walk you through how to build a simple neural network in Razorthink AI for classifying images of handwritten digits in MNIST dataset. Various features of the platform will be introduced to you as you follow through this guide. MNIST is a collection of 60,000 images for training and 10,000 images for testing. Workspace is data storage and collaboration facility in Razorthink AI. You can store your data files and notebooks in My Space section of the workspace. Storing files in Community Space allows you to share and collaborate with other users of the platform. Once you’ve uploaded the dataset to Workspace, we can move on to preparing it for training the neural network. The first column in the dataset is the Label for the handwritten digit in that record. We need to convert this column to its one-hot equivalent in order to train the network. Data Recipe provides a visual interface for creating a pipeline of data transformation operations. You can also perform Exploratory Data Analysis (EDA) and also preview the data as you add transformation operations. DL Model Designer provides a visual interface for composing deep learning models with pre-built layers such a CNN, FNN, LSTM, RNN and many more. It also supports creating a non-trivial training and inference flow for complex models such as GAN. Pipeline builder allows you to easily put together complex flows involving data transformations, model training and inferencing through a drag-and-drop interface.